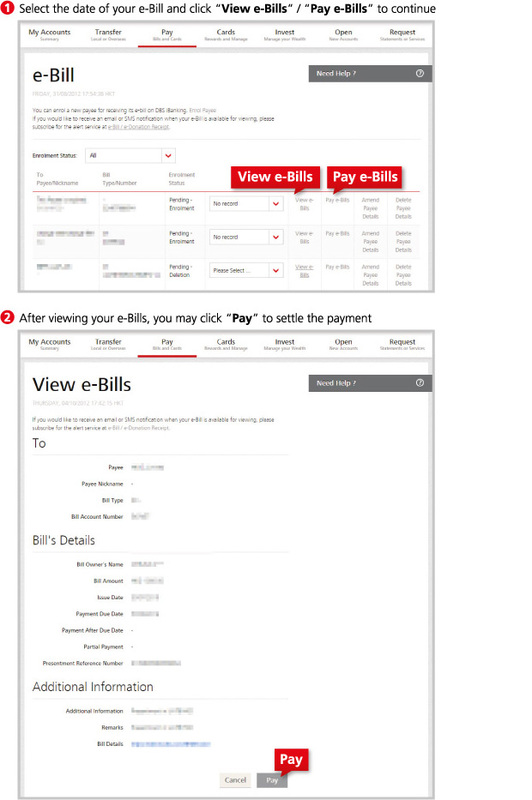 Managing your bills in a simpler way. Choose to use our e-Bill service! For details, please click to download "The brochure of Electronic Bill Presentment and Payment Service" provided by Hong Kong Monetary Authority and The Hong Kong Association of Banks.